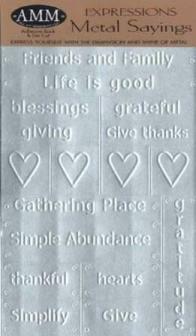 Metal sayings are embossed on real metal with an adhesive back, and die cut. Sayings are repositional and adhere permanently over time. Easy to trim material. Simply peel and stick, it's that easy! 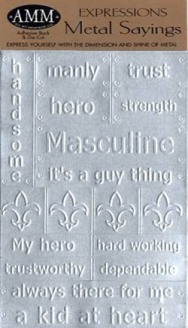 Sheet size: 5" x 4"
Metal Sayings are embossed on real metal with an adhesive back and die-cut. Sayings are repositionable and adhere permanently over time. Easy to trim material. Simply peel and stick - it's that easy!